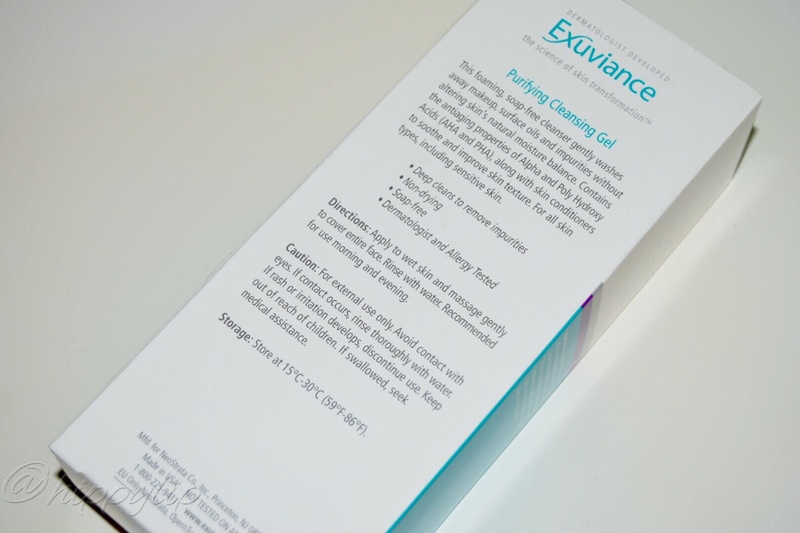 I’ve tried a few products from Exuviance in the past and I was really impressed with the quality and results. Honestly, my skin care routine hasn’t been working out lately and most likely due to running out of my favorite cleanser. 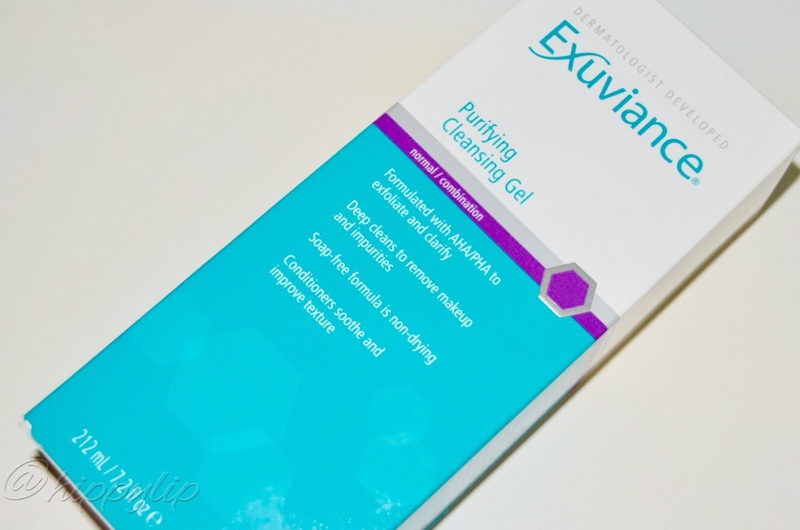 Exuviance giving me the opportunity to try a cleanser was awesome because I needed a change. I find it’s always good to switch up your skin care every few months and I can’t prove this but I feel like my skin gets tolerant to the products after a while. About the Brand: Exuviance was created by Drs. Van Scott and Yu, leaders in the field of dermatology. together they discovered Glycolic Acid and created the first patented Glycolic Peel. since then Exuviance has created many anti-aging ingredients backed by scientific studies and clinical trials. This soap free, anti-aging, foaming cleanser is formulated with Alpha and Polyhydroxy Acids to sooth and improve the skin’s texture. This foaming, soap-free cleanser gently washes away makeup, surface oils and impurities without altering skin’s natural moisture balance. Contains the anti-aging properties of Alpha and Poly Hydroxy Acids (AHA and PHA), along with skin conditioners to soothe and improve skin texture. For all skin types, including sensitive skin. My Experience: I was amazed at the amount of product you receive for the price, 7.2 ounces for $34 USD. From this brand, that is a great deal. The packaging is very marine like in a green tube with a flip top. The lid is flat making it easy to stand up and always have the product ready to dispense. The cleanser is clear light green in color and the texture is a thick gel. The scent is light, clean, and I love it. I made the mistake of using too much the first time and had so many bubbles to wash off. You really only need a pearl size amount, if you follow the directions. I wet my face first, apply a pearl size amount in my hands and rub in circular motions until I get a good lather, then I use my wet charcoal sponge to get any additional dirt or makeup off (this is where it gets foamy), and rinse with warm water. It feels so silky on the skin and works really well with my sponge so I would imagine a Clarisonic or something similar would work great with this cleanser. I find it odd and appealing that there is no soap in this facial cleanser, because soap strips the natural oils on my skin. Even stranger, my face felt clean without feeling dry (like soap) or oily (like milk cleansers). I didn’t feel the need to go running for a moisturizer like I normally do. There is something satisfying in not having that tight dry feeling after cleansing. 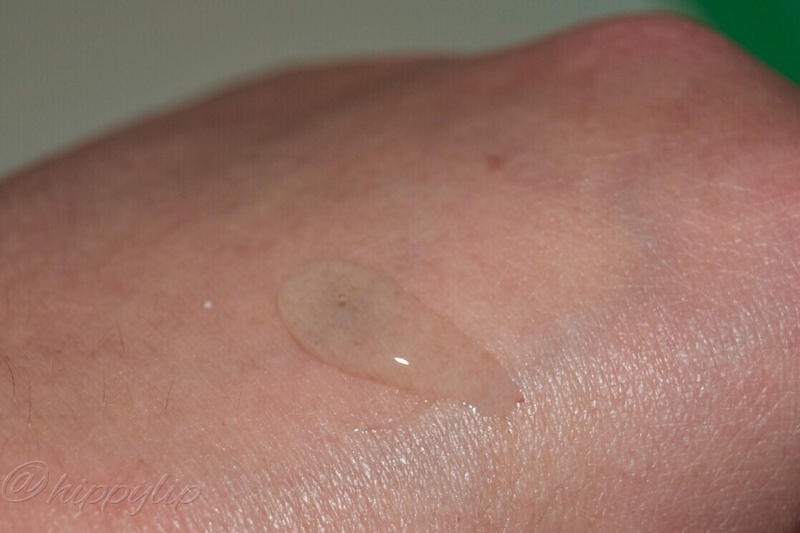 Review: This cleanser worked really well for me. It’s not at all abrasive and gentle enough for all skin types. It’s easy to use and lives up to the claims of deep cleansing, gentle, non-drying, soothing, and improves texture. I have been using this for a week now and my face is smooth with no trace of dryness. I will continue to use this to see how much my skin improves. I fully recommend this for all skin types, especially sensitive skin. 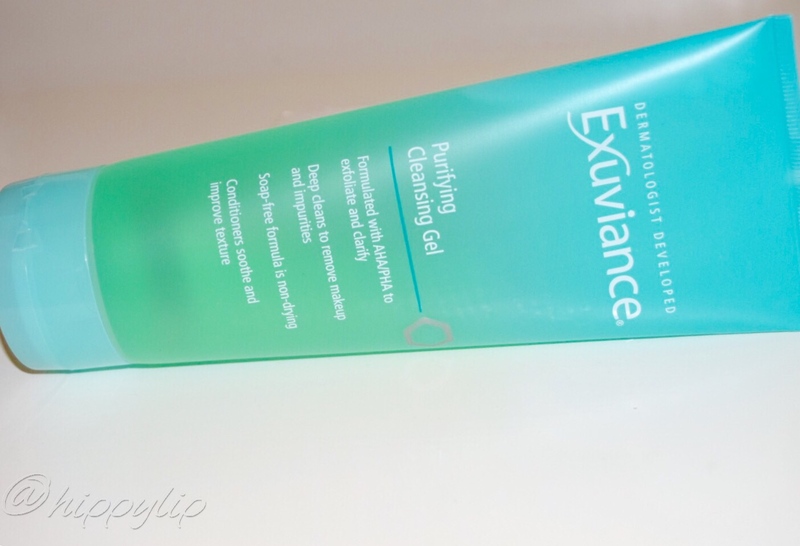 If you are interested, Exuviance Purifying Gel retails for $34 USD and you can find it here. Until next time, Give Me Some Lip! Next OMG!! I Did Not Make Rouge! IT’S a great thing ……..
I’ve seen this brand around… it’s from the same brand as NeoStrata, isn’t it? That’s so cool that the creators of this brand discovered Glycolic Acid – what! I love Glycolic Acid but I only stick to treatments or face creams with it… call me weird but I won’t use face wash with it because I’m scared it’ll get into my eyes?! I love using sponges with foaming face washes like this! I guess you know that cuz I already said it in the other comment, ha. And yeah I don’t like that super tight skin feeling after washing with some gel cleansers. I’m still loving it so far!! Thanks for stopping by Ingrid!! I love this line and I will totally have to check this cleanser out!! Totally love the packaging!! I agree on the packaging!! It’s also reasonably priced. I believe they are having a sale right now, if you spend $75 you get this cleanser for free. I’ll add the exact details to the post. Thanks for stopping by!! OOO that sounds awesome!! I will have to check it out! !